What is Keno? 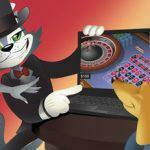 CoolCat Casino Explains How to Play the Game and More! Everyone knows about keno, whether it’s because they’re fans of the game or they’ve seen those big ball machines rolling out numbered balls. But if you’re reading this and asking yourself, “What is keno?” don’t worry – we’ve got all the answers for you. Keno is a game of luck and patience – you get to choose what numbers to bet on, and that makes personal stakes in the game higher. The simplicity of this game has helped make it a classic over the years, and judging from its continued popularity, it’s here to stay. So you might as well hop on the bandwagon and learn the game of keno – after reading this article, there’s nothing that should stop you from winning big and loving the game. In Ancient China, the state had to raise funding for expensive projects like fighting wars and building the Great Wall of China. They figured the best way to do that wasn’t through a taxing system, but rather a lottery game which people would voluntarily participate in. As the legend goes, the game called baige piao was hugely popular and derived its name (which means “white pigeon”) from the pigeons that carried the lottery’s result to far away villages. Needless to say, it worked well and the needed money was raised, but the game didn’t disappear after that. In the 1800s, the Wild West was on a blazing mission to build the first transcontinental railroad. Since the population wasn’t big enough to provide the labor needed, a lot of immigrants from China crossed the Pacific Ocean and began the tough work. On their long journey over to America, they brought the clothes on their backs and, you guessed it, baige piao. Coming into constant contact with their fellow American railroad workers, the game started to take on more western names and was enjoyed by everyone. By the 1900s, the game was commercialized and marketed for mainstream society, taking on the more American sounding name, “keno.” This name comes from the Latin word quini, which means “five in a group.” Once the game was introduced to Nevada in 1933, the game spread like wildfire and in 1951, keno as we know it was here to stay. 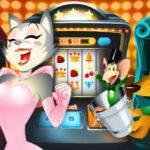 This version is the one you know and love, or at least have come across when browsing all of the great games CoolCat Casino has to offer. Now that we’ve answered the “what is keno?” question, you should know how it’s played. Keno has a long history, but it didn’t change much over the years because of its simplicity. Keno is a game of numbers. Usually there are the numbers 1-80, and these numbers all have an equal likelihood of being chosen. The player receives a playing card with these numbers laid out and they have to pick a few. Players can choose anywhere between 1 and 10 numbers, and by choosing these numbers they are effectively placing bets on them. 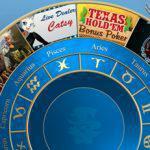 Certain casinos will let players choose up to 12 or 15 numbers, but this is less common. In the past, each of the 80 numbers were written on balls, and a ball machine would randomly choose 20 balls out of the lot. If the resulting numbers are the same as the ones picked by the player, the player is entitled to prizes. Now, advanced technology has replaced the good old-fashioned ball machine with random number generators. This not only affords players the privilege of accessing keno online from the comfort of their homes, it also means that players can use the same numbers to play more than one game. And to top it off, people don’t have to lug those heavy balls around. Now that you’ve got a hang of the rules, you should learn a few key terms to help you get along. A ticket is the betting card which usually has numbers laid out on it and each player gets one of these tickets to pick their numbers, which are also known as spots. A game of keno is called a race, and during this race the numbers are chosen. If the number you bet on is picked, it is called catching a spot. Depending on how many numbers are called, how many spots you pick, and how many spots you catch, your winnings will differ. You can always check what kind of payouts the casino offers by looking at their pay table. In keno, there are a few ways to bet. You have the option of picking anywhere from 1-10 numbers, according to the rules of most keno games. Once you’ve chosen your spots, you have to place a wager. A $5 wager applies to your ticket as a whole. And depending on how many races you want to play, you are betting $5 for each race (or drawing of numbers). If you choose to play 5 races or draws, then you are wagering $25 dollars total. With online keno, there are “play 5” or “play 10” buttons, which automatically play your ticket for 5 or 10 races respectively, which can then be clicked again to play your ticket for an unlimited number of races. Choosing more races for the same ticket is a great option for those who have a lucky number and know that playing it repeatedly will bring them fortune. More often than not, people tend to follow certain patterns of betting in the game of keno. Just like there are five different types of gamblers, keno has different players too. If players want to bet on more spots and races, they usually place a smaller wager on their ticket. If they pick a smaller number of spots and play fewer races then they tend to make higher wagers. This can help them play for a longer amount of time. If the former were to place higher bets, their bankroll would run out all too soon. If the latter bet less money, the odds would become too unfavorable to possibly make a profit from the game. A simple rule of thumb when playing keno is that the more spots you pick and catch, the higher payout you will receive. So, if you’re looking to make major winnings off this game, consider this strategy a go to. 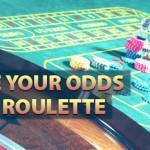 When playing keno – or any casino game, for that matter – always keep the odds in mind. So, what is keno’s edge? It usually comes out to about 20%. 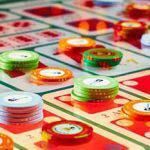 Compare that to another popular game, American roulette, which comes with a house edge of about 5.26%. Also remember that keno is still a game of luck. Especially with the wide use of random number generators, the randomizing algorithm guarantees that there is no pattern to the numbers chosen, and the odds of numbers being chosen resets after each race. So, if you’re holding out on a number that you believe will win, try not to get too frustrated when it isn’t called after a few races. Losing a few races doesn’t mean your numbers aren’t going to be called, you simply have to give it time. If you do find yourself getting frustrated, learning how to control your emotions while gambling is important. Before placing any bets, there are two things you should do. The first is to shop around for different keno games. Each casino will offer different payouts for the same situation. For example, one casino may offer a high payout of 12:1 for catching 2 out of 2 spots, and another will offer 7:1. But if you only catch one 1 spot then what will each casino offer you? The former may give nothing for only catching 1 spot while the latter with a lower winning payout will still reward you something for a partial win. You need to decide how strongly you believe in your number, and how much you need to win back your wagers. This leads to the second thing: establish a personal goal. Do you want to play for a longer amount of time? Do you want to win big or play it safe? Answering these questions will help you decide how much to wager and how many races to play. A little parting advice is don’t be too hard on yourself. Always remember that you’re playing keno for fun and enjoyment. If it feels like you haven’t won a couple rounds because there is no rhyme or reason to the game – well, that’s because there isn’t. But it also means your next win could be just around the corner. 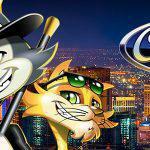 If you’re new to the game or to online gambling in general, a good place to start is CoolCat Casino. You can learn the top ten tips every online casino newbie should know and use their practice mode to play a few free rounds before putting real money on the line. Soon enough, with a few luck charms and little confidence, you’ll know exactly what you need to do in order to play your best game. And when your buddy asks you, “What is keno?” you can tell him all about it. Head over to CoolCat casino and play today!